Professional Engineering Book from C.H.I.P.S. 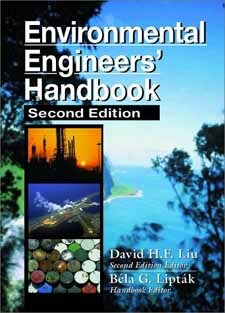 The Environmental Engineers' Handbook recognizes the integrated nature of our environment and addresses it as such; though each section addresses a specific area, all the sections are interlinked by extensive cross-referencing and the subject index. Taking a global approach, Editor David H.F. Liu gathered nearly 100 industrial consultants, engineering managers, researchers, professors, and lawyers from all continents to coauthor the most comprehensive handbook ever published on the prevention and management of pollution. Revised, expanded, and fully updated to meet the needs of today's engineer working in industry or the public sector, the Environmental Engineers' Handbook 2nd Edition is a single source of current information. It covers in depth the interrelated factors and principles that affect our environment and how we have dealt with them in the past, are dealing with them today, and how we will deal with them in the future. This stellar reference addresses the ongoing global transition in cleaning up the remains of abandoned technology, the prevention of pollution created by existing technology, and the design of future zero emission technology.